I travelled from slightly warmer than usual and slightly more humid than usual southern CA … to WAY HOT and WAY HUMID sunny/stormy Orlando, Florida during the first week in August to attend the AADE (American Association of Diabetes Educators) 2014 Conference. The title this year was Refresh. Recharge. Renew. Was it worth every ounce of perspiration and sore feet and information overload? ABSOLUTELY! Most of the CDEs who I chatted with were extremely passionate about their patients and learning how to teach and help folks with diabetes to live a better life. It was obvious that most “diabetics” are Type 2 … so lots of exhibitors displaying meal planning and preparation, supplements, new medications. I understand that there were much fewer exhibitors this year than in previous years. But most educational sessions were filled to capacity. My biggest excitements: Some of the technology announcements regarding my pump/CGM data integrated in the cloud into usable software that will display on my smart phone. I want this capability NOW! And my most memorable experience: Meeting former Miss America, Nicole Johnson (who still has the most stunning eyes and smile, even 15 years after her winning the title in 1999). Nicole, Ph.D. in Public Health plus M.A. degrees in Journalism and Public Health, is extremely active as an international consultant and advocate for diabetes issues. 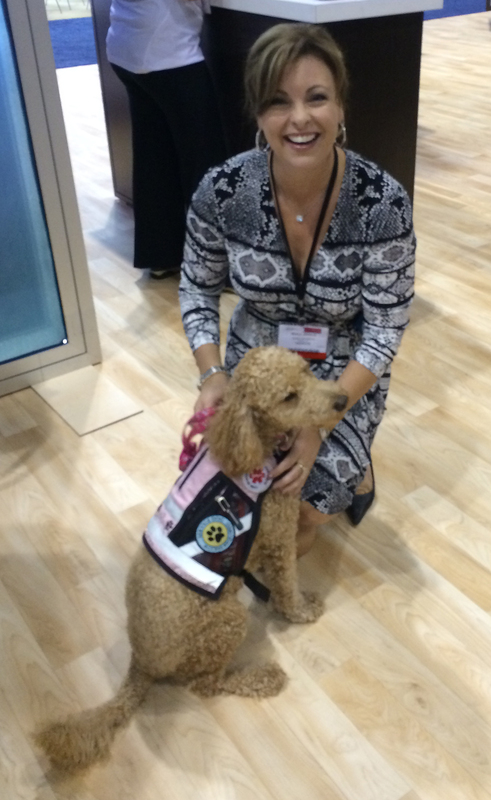 Nicole had her diabetes alert dog, Lucy (a small and wildly adorable golden doodle) at her side throughout the conference. As Nicole chatted with me and others, Lucy quietly snuggled up on the floor next to her. But then it happened! As I watched Nicole do book signings, a lady with T1 came up to meet Nicole and wanted her picture taken with Nicole and Lucy. Lucy would not settle down and finally barked. Lucy never barks unless someone’s BG is 75 or below. So Nicole checked her CGM … nope, not her. The lady checked her CGM … yup, her BG was 70! Lucy waited and watched the lady intently as she took sugar … and after about 5 minutes, Lucy sniffed her hand, licked her and then sat down properly for the photo op! The crowd was wowed … me too. A diabetes alert dog in action! 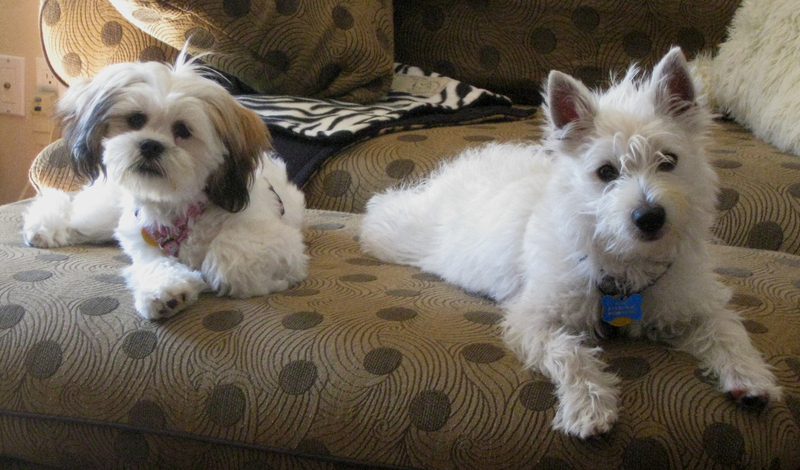 pon returning home to my pups, I thought perhaps my Westie, Hey Buddy, would like to be my diabetes alert dog. We “discussed” it … but apparently it’s just not his thing! Until he or my Lhasa Apso, Bon Bon, takes up some serious training, I’ll continue to rely on my Dexcom G4!